Think you know all about that ubiquitous little piece of plastic you carry in your wallet? Most of us look at our credit cards on a regular – even daily – basis, but how much attention do we really pay to them? I’m sure we all realize every credit card has a unique string of numbers that is used to identify our individual account data, but that little number printed on your card holds a lot more information than just that. The very first digit of your credit card number identifies whether it’s a banking and financial services card, a travel and entertainment card, an airline-issued credit card, a store card, a gasoline card and so on. It’s called the Major Industry Identifier (MII), an international standardization established in 1989 by the International Organization for Standardization. The first six digits of a credit card (including the MII) are used to identify the issuing institution or bank. Institutions are assigned this unique identifier known as the Issuer Identifier Number (IIN), also sometimes called the Bank Number. In the case of large institutions, a range of numbers is assigned and can be used by the company to identify important information, such as the country where the card was issued. 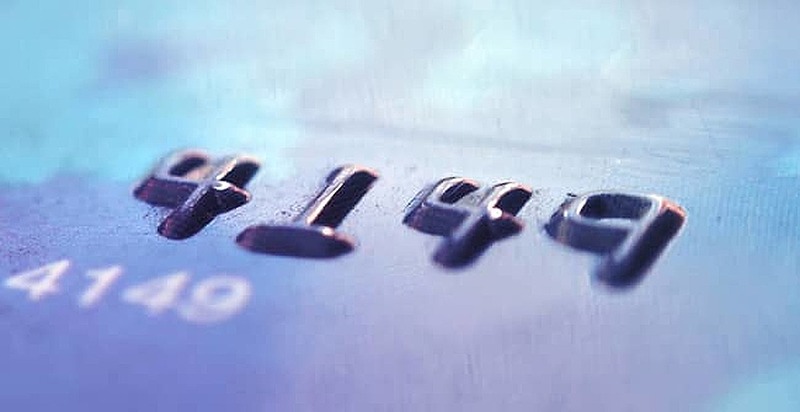 The remaining digits of a credit card number following the IIN (except for the last number) make up the account number that identifies the holder of the card. The account number can be from six to as many as 11 digits long. The final number on a credit card is what’s called a “check digit.” This number is calculated using an algorithm that is applied to the other numbers on the card. It’s a very basic way to avoid the fraudulent creation of credit card numbers using an institution’s IIN and a nonexistent account number. The three (or four) digit security code on the back of your credit card was created as an attempt to avoid the fraudulent use of credit card account numbers for remote purchases. The actual name of this security number varies by institution, with no apparent standard. You will hear it called a card security code (CSC), a card verification code (CVC), a card verification value (CVV) or even a card code verification (CCV). If you ever want to see whether a credit card number is valid, add every other digit starting with the MII and multiply them by two. Then take each undoubled number and add them to the doubled ones. If you end up with a number divisible by 10, then the credit card number in question is real and valid. If it is not divisible by 10, then you have either an invalid or fake credit card number on your hands. When early credit cards were first issued, they had as few as eight or nine digits. Today’s credit cards use a minimum of 13 digits, and some are up to 19 digits long. The most common issuers, Visa and MasterCard, have standardized 16 digits in the U.S., while American Express uses 15 digits. Want to try this for yourself? Just use any credit card in your wallet! If you don’t have a credit card, try signing up for a secured credit card. Other things a credit card number says about the card include the currency the card is issued under and whether it’s a debit, credit or gift card. This information is all held within the IIN of each institution, and the issuers themselves get to determine how they use the range of numbers they were assigned. As most of us have heard in the news lately, credit card fraud and security breaches are on the rise. The current system of credit card numbering is likely to be replaced or at least enhanced soon by newer Chip and Pin technology. Many banks and retailers are scrambling to get these new, more secure credit cards into the hands of their cardholders as quickly as possible.